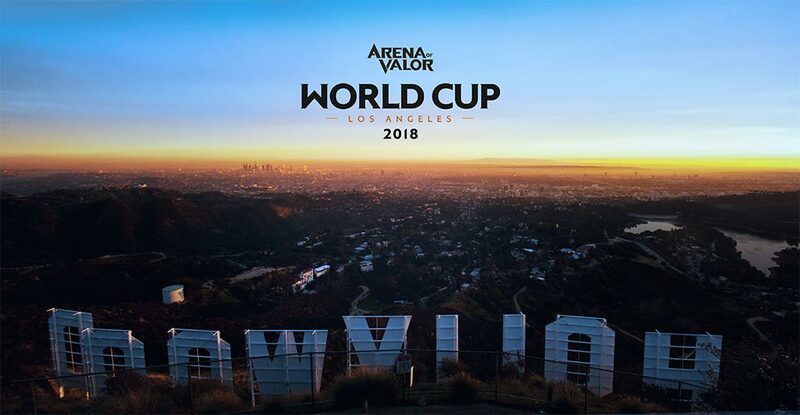 Garena Arena of Valor revealed the national team selection mechanism for each region today for the global eSports sensation AWC (Arena of Valor World Cup), scheduled for this July in Los Angeles. The MSP representative team, the winner of Road to AWC, will be headed to L.A. this summer, staking national honor and high expectations to win the grand prize! With the gradual widespread popularity of Arena of Valor all over the globe, the game has rightfully claimed the title of “most popular mobile game in the world”. With more than 10 million daily active users, AOV is now hosting eSports tournaments at a scale never imagined before. 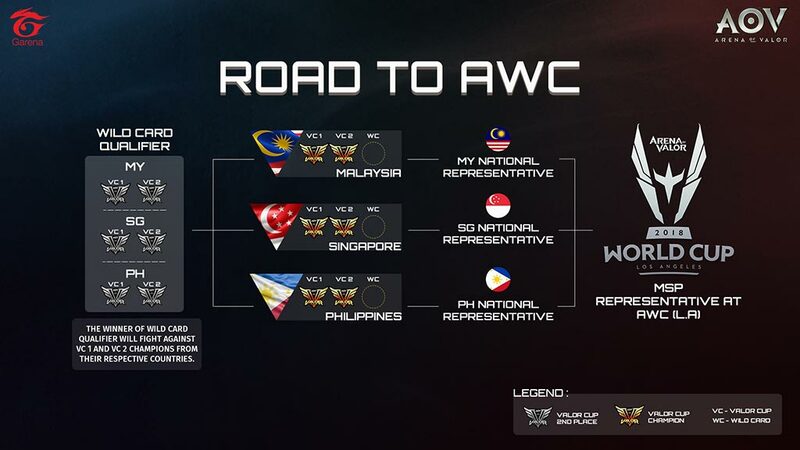 The 9 participating countries in AWC include Taiwan/Hong Kong/Macau, Thailand, Vietnam, Indonesia, Singapore/Malaysia/Philippines, Korea, Europe, North America and South America. These regions each earn 1 national team which are then supplemented with 3 wild card teams. The 3 wild cards are: the 2017 AIC Champion region Taiwan/Hong Kong/Macau, the 2017 TOG Champion Thailand and one more seat yet to be invited by AWC official host Tencent Games. Each AWC national team consists of 7 members: 5 in the starting lineup, 1 sixth man and 1 coach. The selection mechanisms vary between regions and are determined individually. For the MSP region, there will be two Valor Cup season happening right before AWC. Each Valor Cup season will determine four teams that will qualify to play in Road to AWC National Qualifiers. These four teams will consists of the three national champions from each region and one Wild Card team from the group of Runner-Ups. Each team will battle it out against teams from their own country in the Road to AWC National Qualifiers. The best team from each nation will go head-to-head against each other in a Round Robin match follow by a Best-of-5 series in Road to AWC 2018. Garena AOV will release more news on AWC and related events in the near future, stay tuned!